Check out new and updated freeware tools, help Netwrix win new awards, learn more about Netwrix's recent regional expansion, find out about Netwrix's new partnership with VMware, learn why failing an IT audit is a good thing and more. Did you know that Netwrix is on Twitter? Follow Netwrix on Twitter to receive real-time updates, get most enthralling IT related news, events analytics and engage in discussions with fellow IT Pros. Check out the updated Active Directory Change Reporter with advanced reporting capabilities, new Password Manager and Privileged Account Manager, both supporting up to 50 users, or try any other product from top 10 freeware tools. We graciously ask you to vote for our Change Reporter Suite simply by clicking on the product in the Readers' Choice box (can be found on the left-hand side-bar) at the portal's main page. Netwrix opens new strategic sales and support branches: two in Florida (Miami, Tampa) and one in the UK. The Miami branch is also responsible for a new promising market for Netwrix - Latin America. The regional expansion is a part of the company’s growth strategy and is aimed at making Netwrix more competitive in new regions. It is no coincidence that Netwrix has recently introduced its updated version of VMware Change Reporter and at the same time joined VMware TAP program. The new partnership with VMware is a strategic step towards reciprocal cooperation and boosting new developments in VM audit that will eventually result in adding new solutions to the current product portfolio. 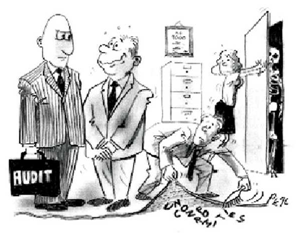 In the Blog: Why Failing an Audit is a Good Thing? Would You Rather Fail an Audit to Uncover Weaknesses, or Rely on Other Means?